Signet is the world’s largest retailer of diamond jewelry and the largest specialty retail jeweler in the US, UK and Canada. 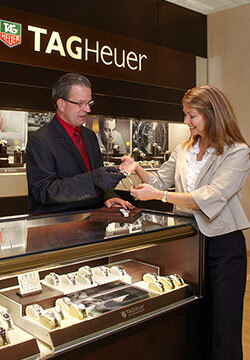 Signet’s results derive from the retailing of jewelry, watches and associated services. Signet’s sales are seasonal, with the first quarter slightly exceeding 20% of annual sales, the second and third quarters each approximating 20% and the fourth quarter accounting for almost 40% of annual sales, with December being by far the most important month of the year. Signet continues to invest in technology to enhance the customer experience. The technology provides a single view of the customer with the capability to holistically capture information for the purpose of more personalized marketing leading to greater customer satisfaction and higher sales. Investments in online focus on improving the customer journey. Enhancements include personalization, appointment booking, bridal configuration, local inventory, and much more. Our increased use of data analytics helps provide a more comprehensive view of our customers and allows us to anticipate their needs and serve them better. Includes FTEs employed in Canada of 821 in fiscal 2018, 1,051 in fiscal 2017, and 1,201 in fiscal 2016. Includes corporate employees and employees employed at the diamond polishing plant located in Botswana.